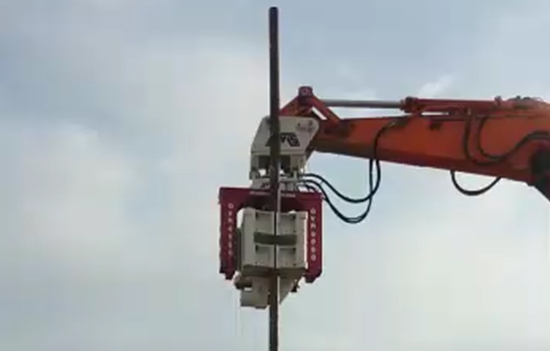 is a tool that used to drive piles in or out of the ground for building marine docks, bridges, buildings, roads, rail, walls, and many other types of foundations. Traditional pile drivers are very loud and use a large weight to strike the pile. Vibratory hammers, however, are very quiet and have many advantages. A few advantages of vibratory hammers are that they can drive piles much more quickly, extract old piles out of the ground. 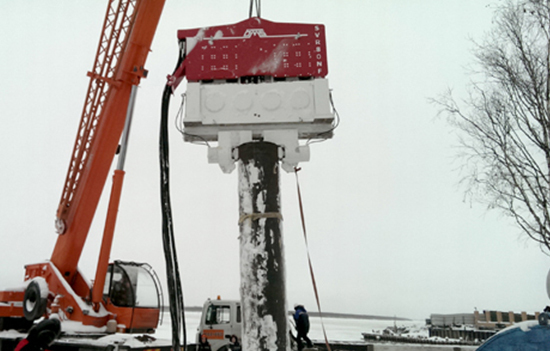 Two main types of our vibratory pile drivers are “excavator mounted OVR Series” and “crane hanging SVR series”. 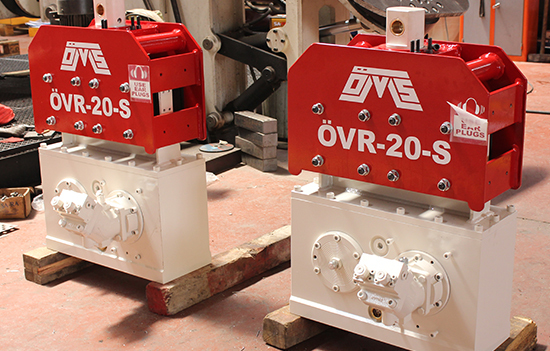 OVR Series vibratory hammers are attachment machines which are specially designed for the driving and extraction of the sheet piles in deep and narrow sites. 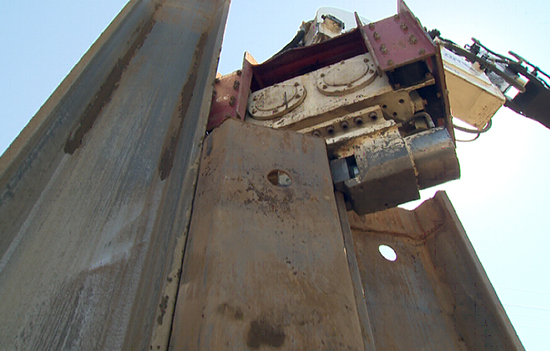 The other excavator mounted SG series Rotate – Tilt mechanism which can rotate up to 90° acts mechanically during the handling of the steel profile which lays on the soil. 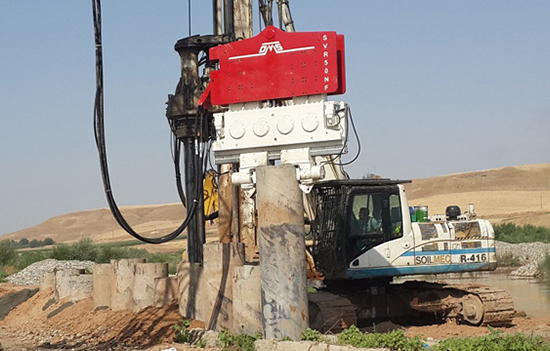 OMS Pile Driving Equipment also offers the SVR type vibratory pile drivers. 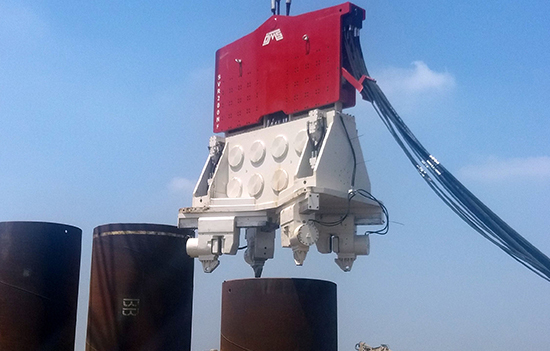 This crane hanging SVR type enables the users to drive sheet piles and/or steel casing piles in various diameters and lengths into the different type of soil with its own power pack. Special solutions for different soil conditions and different depths. So you can work in various climate conditions. 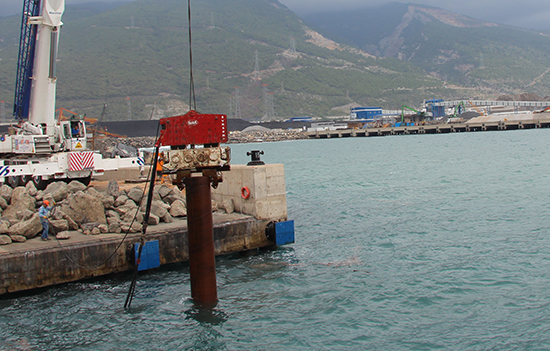 Read more to learn about OMS Pile Driving Equipment!